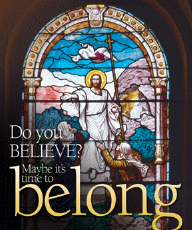 Do you want to enter into full communion with the Catholic Church? Do you need to be baptised? Are you married to a Catholic? Have you been baptised but not Confirmed? Have you made your 1st Holy Communion but for various reasons was not Confirmed? Do you want to just renew or deepen your knowledge of the Catholic Faith? If the answer to one of these questions is YES … search no more! Contact one our facilitators below TODAY!